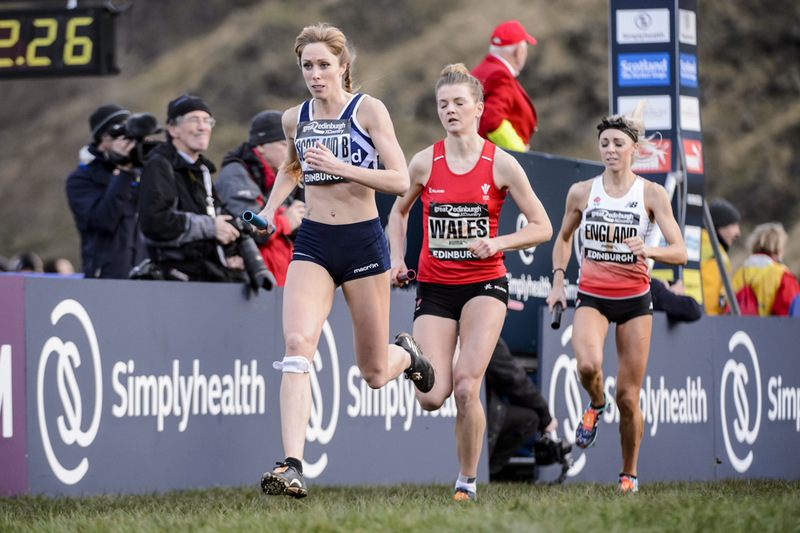 The news that the 2018 Great Edinburgh XCountry was the last to be staged in the capital undoubtedly feels like a blow for all with the interest of Scottish sport at heart. Over a 14-year stretch, gathering at Holyrood Park early in the New Year to watch world class cross country action as well as the Inter-Districts had become a thoroughly enjoyable tradition. 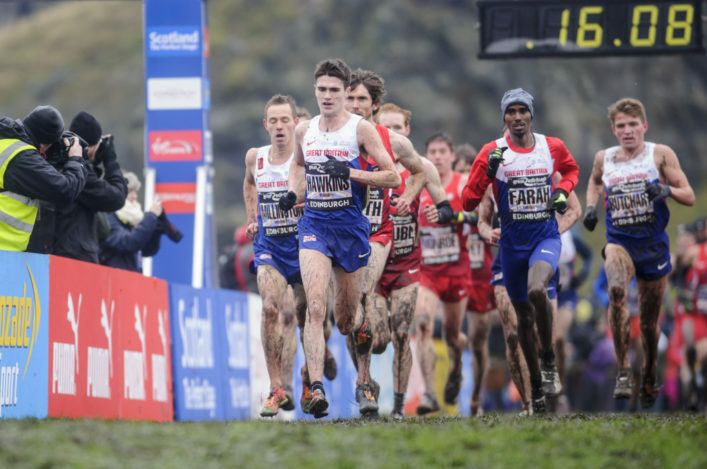 And there seemed a certain irony in the announcement coming 10 years after Edinburgh staged the World Cross and only 12 months after that wonderful day when Callum Hawkins and Mo Farah raced across the mud with the Scot only just losing out to American Leonard Korir on the final straight as a huge roar split the eardrums. However, all is not yet lost. Organisers GreatRun, scottishathletics, Event Scotland and British Athletics are discussing options to try and keep the event north of the border. There are a couple of possible Scottish venues which would mean the whole cross country caravan moving elsewhere on a January date. 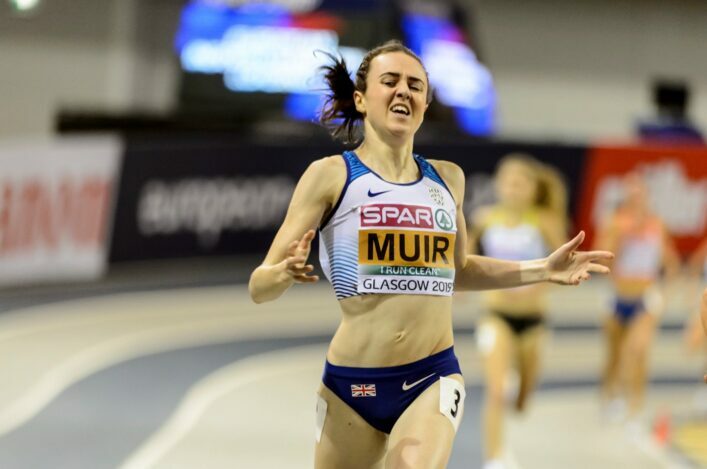 ‘I was speaking to Paul Bush of Event Scotland on Saturday and he is still quite confident something will come up to keep it in Scotland,’ said scottishathletics Chairman, Ian Beattie. A large section of the athletics community in Scotland would second that although we have to acknowledge that sport doesn’t always stay the same and international athletics, in particular, is a very changing landscape. No doubt Edinburgh-based John Lees was a happy and proud man on Saturday and rightly so. Three of his current group were in international action as Mhairi Maclennan took her bow in a Senior Women’s GB and NI vest; Eloise Walker came up with an excellent 11th place finish for GB and NI in the Junior race; and Steph Pennycook represented Scotland A in the International 4 x 1K Relay as the team finished fourth, ahead of the United States and England. 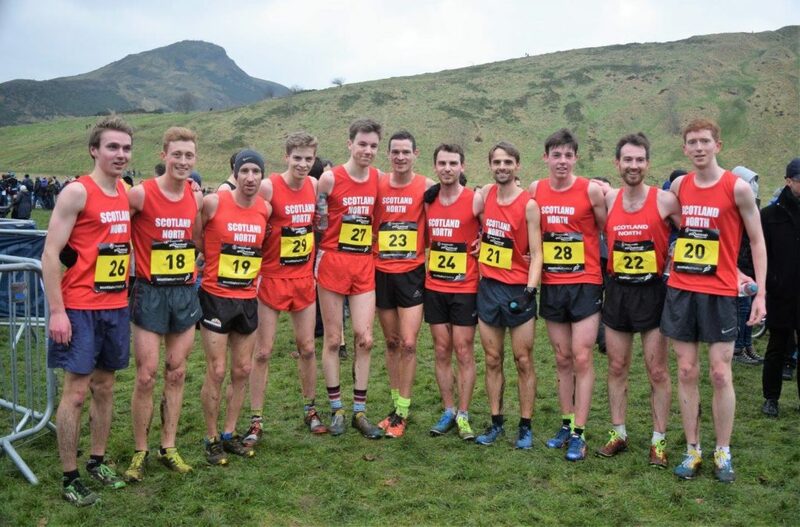 That training group guided by coach Lees also includes emerging athletes like Anna Macfadyen and Gillian Black, both GB athletes at the World Cross last year, as well as Naomi Lang and Laura Stark and Scotland international, Rebecca Burns. Something is stirring in the capital, clearly. ‘There’s a really strong group developing with our coach, John Lees,’ said Steph Pennycook. 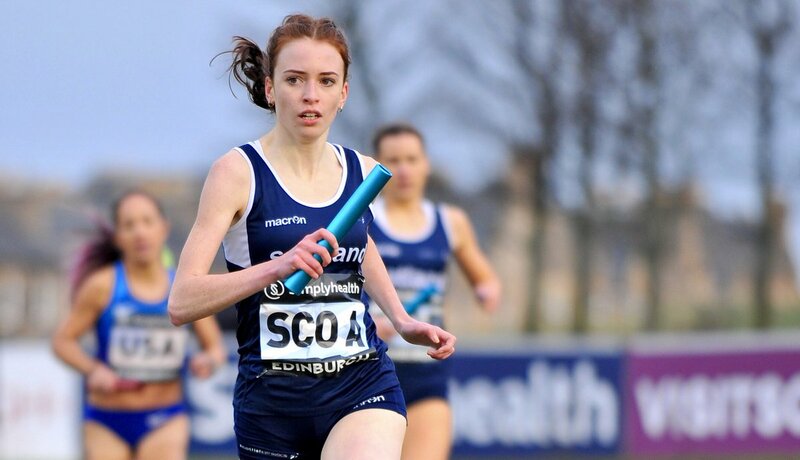 ‘I’ve raced for Scotland and Eloise and Mhairi were representing GB and NI. Eloise is not even 17 yet but she is coming through so strongly and I know I need my A game in training to hold her off. ‘Then we’ve had girls coming to Uni in Edinburgh like Anna and Naomi and a couple of good English athletes arrived, as well. ‘Mhairi does slightly longer stuff to help her for 10Ks and I do a bit shorter and faster at times, to try and help with 1500m. So the actual training programmes vary a little bit. ‘But the whole groups is still pretty much running together on Tuesdays, Thursdays and Saturdays and I think it is pushing us all on. We enjoy each other’s company and socially we’re together quite a lot, too. Spare a thought for Pennycook, though, as she raced on Saturday after no fewer than four high level University exams during the week. Liz McColgan-Nuttall is often a familiar figure on these occasions, with the Scottish running legend having a role with GreatRun. 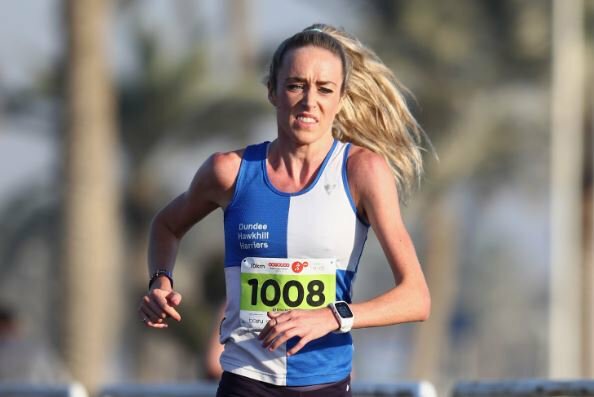 Her appearance came only 24 hours after daughter Eilish came up with another road race PB, with a 31.50 run over 10K in Doha. Eilish, as it happens, has the qualifying standards for the 1500m, 5000m and 10,000m for Gold Coast 2018 but Liz made it very clear the plan is to focus only on the 5000m. That 31.50 run improved Eilish’s PB from 31.56 and improved her time in second place on the Scottish women’s all-time list, which is led by . . . Liz. These are special times for our current Masters Athlete of the Year, Philippa Millage. A first call-up to represent Scotland in the International Relay in 2017 left the then 36-year-old in a state of shock and then coursed with Scottish pride. 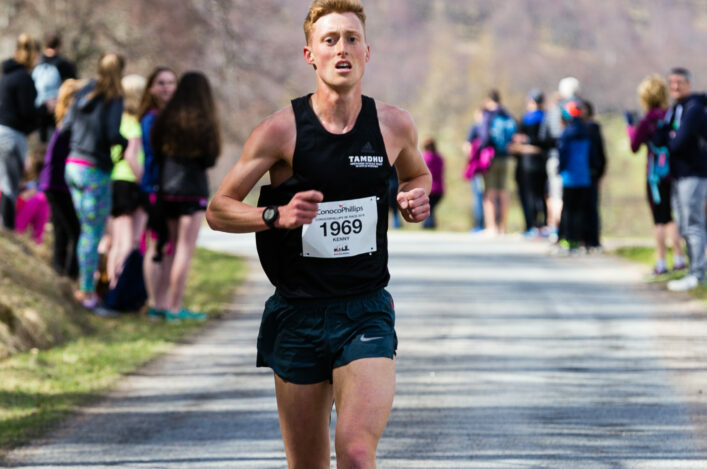 Millage has followed that up with a mile run for Scotland at the Manchester International last August and a third vest on Saturday with Scotland B in the International Relay, coming home in sixth place on the anchor leg. ‘I really enjoyed that and it was such an honour, said Philippa afterwards. Unlike many who raced in the International events on Saturday, Millage is neither a full-time athlete or a further education student. ‘I was working on Friday in an office with meetings and stress and on Saturday I was running around a muddy field racing for Scotland in front of a big crowd and live on TV! ‘It is all a bit crazy at times but, at 37, I’m delighted. I never thought I would get a single Scotland vest but then was picked for this last year, and did the Manchester International on the track, too, so that’s three in a year. Hopefully any comment that we always feel for the North athletes on occasions such as Holyrood won’t be seen as patronising. They have the longest trips, for sure, but invariably compete in good numbers and always with great enthusiasm. Looking through the Inter-District races, we make it three bronze medals individually for the North via Lachlan Buchanan of Inverness at U13 Boys, Anya Morrison of East Sutherland AC in the U13 Girls and Lucas Cairns of Inverness Harriers at U15 Boys. When you see results with clubs such as North Uist, Stornoway, Lochaber and Highland Hill Runners represented, then really don’t think a wee mention is condescending. 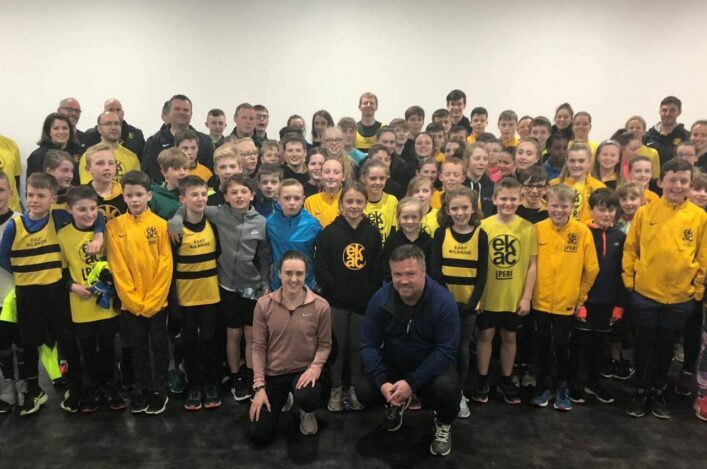 So, well done to our North athletes, coaches, supporters and team managers at the 2018 Inter-Districts . . .